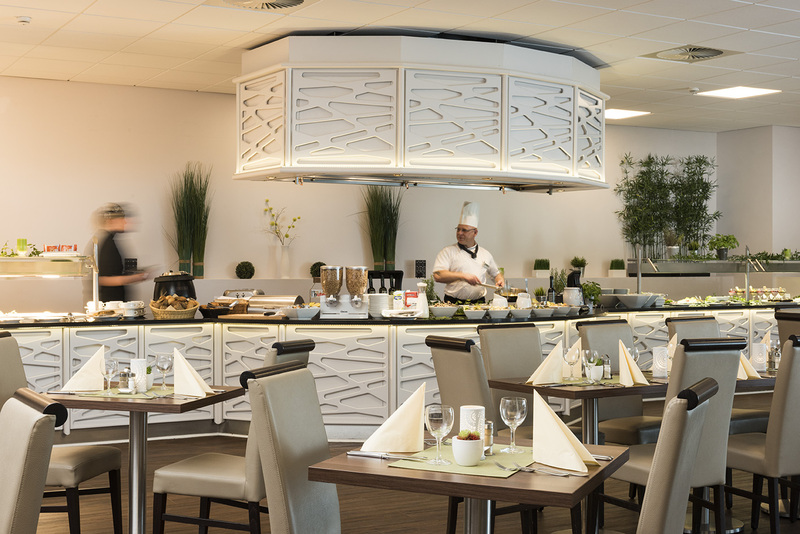 The Wyndham Garden Kassel Hotel is conveniently located by the Kassel-Nord (A7) motorway exit. 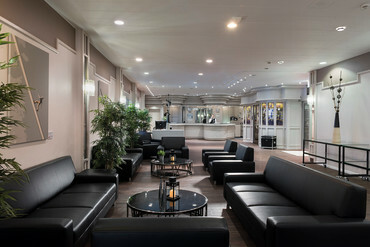 Our Kassel hotel is ideal for weekend guests who would like to visit Kassel and for hotel guests who are passing through. 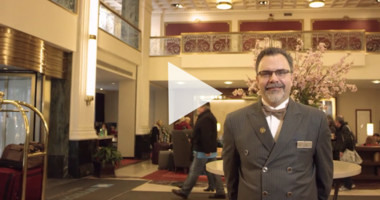 Corporate guests and business travellers appreciate the hotel's convenient location. We provide parking for a fee at the hotel. Kassel is home to the dOCUMENTA – the world's most important public art exhibition. UNESCO World Heritage Wilhelmshoehe Bergpark with the Hercules, the symbol of Kassel, the Orangerie and the Fridericianum are popular attractions of the city. Kassel city centre is just a few minutes' drive from our Wyndham Garden Hotel Kassel. 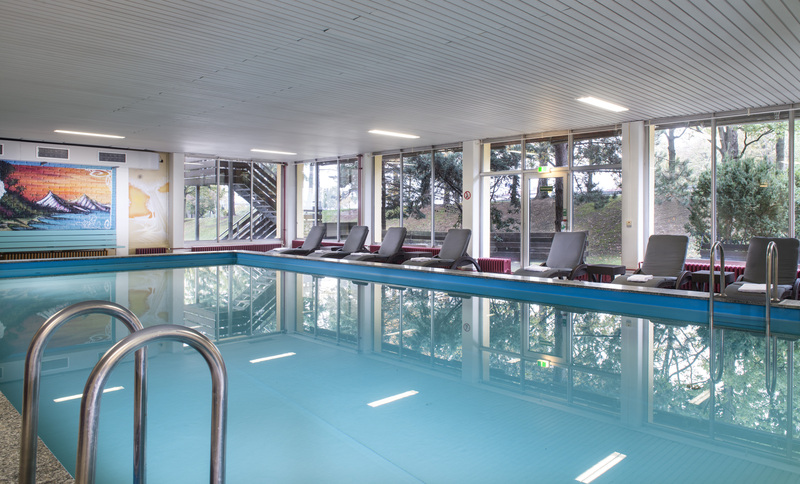 Wyndham Garden Hotel Kassel offers you relaxation and top service: Immerse yourself in the hotel's swimming pool. Sauna and fitness room are also available. In the area around the hotel in Kassel, there are beautiful jogging routes through Eichenwald. International specialities in a pleasant atmosphere await you in our hotel restaurant. 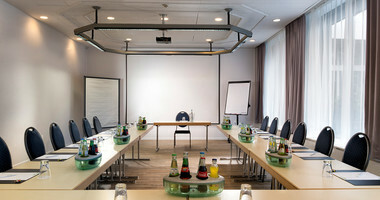 Do you have questions about our hotel in Kassel or about your booking? 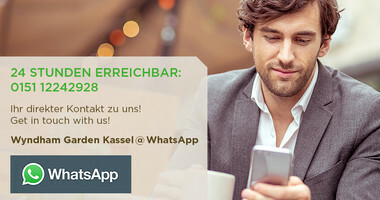 Just send us a WhatsApp message to +49 151 122 429 28. 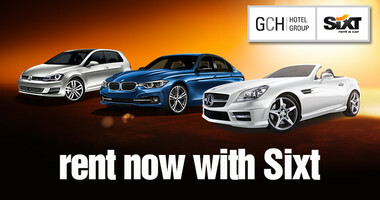 We will help you fast, directly and straightforward. Buy online and print your personalized gift voucher of the Wyndham Garden Kassel Hotel. This hotel deal gives you a great chance to experience the history and beauty of the World heritage Bergpark Wilhelmshöhe clode to the hotel in Kassel. 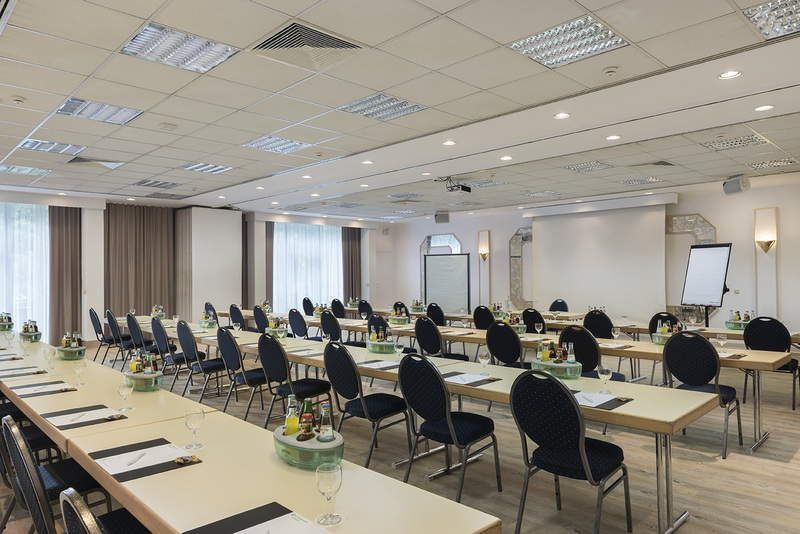 The business hotel in Kassel offers modern conference rooms with meeting equipment for your next event or party in Kassel. Located in the north of Hessen, Kassel can offer its visitors many attractions. One of the most popular destinations is the Mountain Park Wilhelmshöhe, located to the west of Kassel and is part of the Habicht Forest. It is there, where you will find the Herkules monument, the town’s landmark, as well as Löwenburg and the palace of Wilhelmshöhe, in which the picture gallery Alte Meister and the collection of antiques are exhibited. Additionally, each summer, the park hosts a magnificent show of trick fountains. The meadows Karlaue and Fuldaaue add two more spacious park areas to Kassel’s landscape and have already acted as venues for nationwide garden exhibitions. Also worth a visit are the Fridericianum, established in 1779 at the Friedrichsplatz, which serves as a museum and art gallery, and the Ottoneum with its natural history museum. On a walk through Kassel, visitors should also be sure to not miss the city’s state theatre, the Brüderkirche, the Martinskirche with its imposing towers, the pedestrian precinct, the Druselturm tower or the orangery which was built in the 18th Century. Find more travel tips and sightseeing highlights about Kassel here.